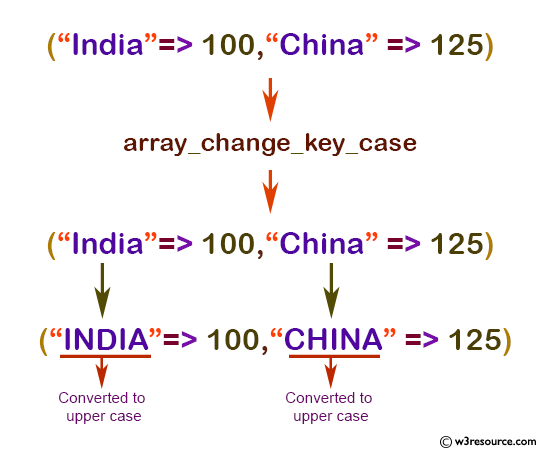 The array_change_key_case() function is used to change all keys of a given array to lower case or upper case. input_case Either CASE_UPPER or CASE_LOWER. An array with its keys lowercased or uppercased. Returns FALSE if the input is not an array.